The Company has seen many major changes within the construction industry since its beginning. It was on January 12, 1908, that a young man, by the name of William G. Carver, in partnership with George W. Peck, decided to go into the business of sheet metal working. Under the name of Liberty Sheet Metal Works, this new company was set up in a small building located at 231 West South Temple and quickly established itself as a supplier of all kinds of tin, copper, and sheet iron work in the Salt Lake area. Shortly after getting the business started, Mr. Peck met with tragedy during the following November, when he fell down an elevator shaft of a warehouse building that they were working on. Decision was made to continue the business as a proprietorship. Before long, (1915) Liberty Sheet Metal was in their second location at 49 Post Office Place. There, most of the work centered around furnace duct work and architectural trims. However, it was at this time that the company also became involved in specialty manufacturing. 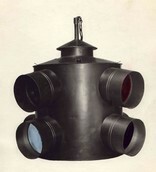 Prominent among these specialty items was one of the first electric traffic control semaphores utilizing red and green lights and hung in the middle of the intersection for visibility. It was invented by C.J. Reading, an engineer with Salt Lake City, and manufactured by W.G. 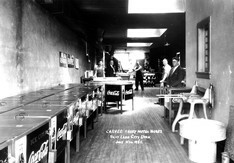 Carver, at the facilities of Liberty Sheet Metal Works. Orders for the new semaphore began to come in from around the country. In addition to Salt Lake City, Atlanta, Georgia and Portland, Oregon were among the major cities using the Reading & Carver semaphores. However the demand for these signals soon made it impractical to build them on a job lot basis, and Liberty returned to commercial construction. Business remained good and by 1922, the company was again looking for larger, more suitable facilities. This time, in addition to moving to 134 West 3rd South, the name was changed to CARVER SHEET METAL WORKS. During the early part of 1923, the bookkeeper, who was Mr. Carver's eldest daughter, decided that she wanted to go to California on a vacation. So Mr. Carver asked a young man to come work while she was away. Her vacation was so great it became somewhat extended, and the young man remained at his "temporary" job with Carver Sheet Metal Works. He was Jack H. Goaslind. Continuing to produce just about anything made from sheet metal, the company manufactured metal liners for Coca-Cola ice boxes, as well as the old standbys of metal gutters, chimneys, architectural trim and metal roofs. By the mid-twenties, the growing popularity of electrically lighted signs saw the advent of still another dimension to the sheet metal business and Carver Sheet Metal was able to place "Advelite" signs throughout the inter-mountain area. In 1933, William A. Carver, started to work in the shop after school, and summers. He served an apprenticeship and became a journeyman sheet metal worker. Following his mission for the L.D.S. Church and his tour of duty with the Army in the European Theater of Operations, he has devoted his full time to the business of sheet metal contracting. Gradually, the predominate work began to turn to the then new concept of commercial and industrial forced air heating and ventilation projects such as the BYU Science Building in 1947. And there were other projects like the Sears store on Eighth South, the Center Theater, and the old Montgomery Ward Building. After site preparations were made in November 1950, construction of their present office and manufacturing plant began. And it was business as usual in their new building the following year. 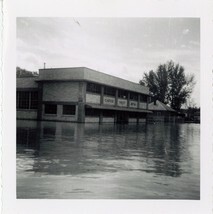 Even during the "Floods of '52", the determination of the company maintained and work continued through the hardship of getting to the office. With the help from an old boat, workers were ferried over the "13th South River" to the stacks of sandbags to be able to get to work. Electric equipment had to be disconnected and manually operated to meet the job deadlines for the day. Office operations were moved to the upstairs area out of the water seeping through the joints between the concrete slabs. During the summer of 1967, Reed H. Carver began to do whatever he could within the family business. Then in 1974, he began to serve his apprenticeship in the sheet metal industry and later became a Journeyman sheet metal worker. Today’s needs in the market place for items manufactured in the architectural field are still called for. Metal roofing appears to be making a comeback in popularity as the spectrum of colors, materials; profiles and needs are designed into the projects. During the renovation of the Hotel Utah building, a new copper roof system was installed. Copper was used on the canopy for the Tony Roma's Restaurant on Fort Union Blvd. and on the Quality Inn, located in the International Center. And copper domes, such as those fabricated and installed for the '49th Street Galleria. A gray roof system was utilized for the Woman's Center at Cottonwood Hospital. Juliett's, in the ZCMI Center, chose a brass for their store front roof section. On buildings, metal caps and gravel stops are necessary to help protect the edge of the roofing material and to prevent water from penetrating behind the edge of the roof. Penthouses containing louvers can be fabricated to cover the air shafts which supply buildings with the fresh air needed for their air conditioning. Being able to create a pleasant atmosphere was achieved through intricate design on the columns and vendor carts at the Richards Street level of the Crossroad Mall. Designed in shapes is what the ZCMI Center Food Court requested to achieve their atmosphere. The need for stainless steel items comes from many places. Many of the local hospitals have need for stainless steel fabricated items. From the repair of autoclaves to corner guards and door kick-plates. Food preparation surfaces for Mrs. Fields Cookies. Acid resistant counters, ladles, and trays for the O.C. Tanner Co.. Stainless steel railings and protective covers at the Salt Lake International Airport baggage area. Clean room areas, such as found at National Semiconductor, utilize the sanitary qualities of stainless steel. With environmental concerns of today, the need for proper industrial ventilation equipment to be installed is very important. Paint booths and vent stacks for industry have become a very important concern. Many times special skills are needed from craftsmen to replace items necessary in restoring the appearance of something that may have been damaged or lost. During the restoration of St. Mark's Cathedral, copper dormers had to be created to match the originals. Re-working and replacing sections were needed when the request came from the L.D.S. Church Museum in their re-creation of the early ZCMI store front facade used in their exhibit. Sections of formed cornice work also have been sent to New York, for the restoration of some local 'turn-of-the-century' buildings. New challenges occur when requests are made to make an already functional piece of equipment even more functional by fabricating enclosures and tool compartments as requested by the owner. Such was the request of Utah Power and Light, now Pacific Corp., with some of their snow cats used in hard to reach repair areas. In the face of the rapidly changing industry and technology, Carver Sheet Metal Works, Inc., remains one of the oldest sheet metal companies in Utah and is proud to be involved in the shaping of the Salt Lake skyline. Today, we are endeavoring to provide a full service of sheet metal application for today's customer using some of the latest technology available. Architectural sheet metal, Metal roofing and siding, Commercial air ventilation, Stainless steel fabrication, Aluminum fabrication, Specialty manufacturing, and Restoration.